When it comes to sweaters, Freddy’s is the most iconic. Now it’s our time to combat the chill with sweaters of our own. 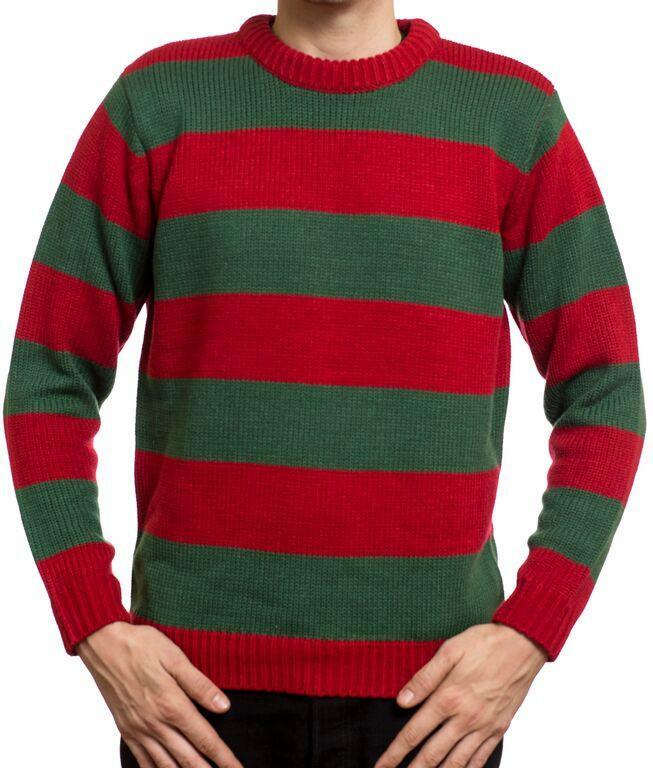 Mondo has a few Freddy sweaters to keep you warm in the winter. 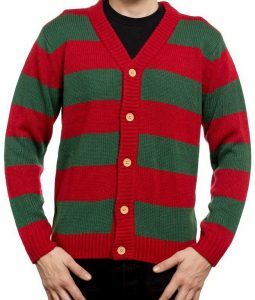 The only time Freddy wore a sweater without stripes on his sleeves was in the first film. That’s why a sweater without stripes on its sleeves are very hard to come by. But Mondo has made it possible and we think this absolutely rocks. It can be yours for just $49 USD. Kudos to you, Mondo! 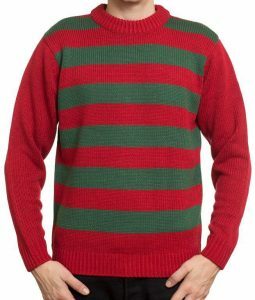 Stay warm in a sweater modeled after Freddy’s most iconic appearance. Also just $49 USD. 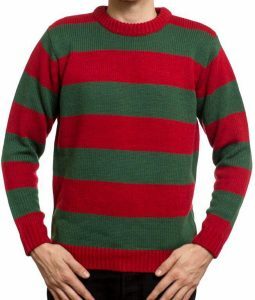 Never worn by Freddy (that we know of), but we imagine that if he did, it must have been when he was in “dad mode.” Yours for $49USD. If you want more Elm Street, Mondo has a huge selection. All items ship within 2 business days.